Beyer coach Kyle McKim draws up a play during a timeout in the second quarter of a 74-72 loss to Mountain House on Wednesday, Jan. 30, 2019. Keenami Maggard walked on air — and then a tight rope — as the Mountain House boys basketball team moved one step closer to a Western Athletic Conference crown. It was an important step, too, one that creates breathing room atop the standings. Maggard poured in a game-high 26 points, elevating for dunks and putbacks throughout the second half, but his missed free throws late left the game in limbo until the last second. No. 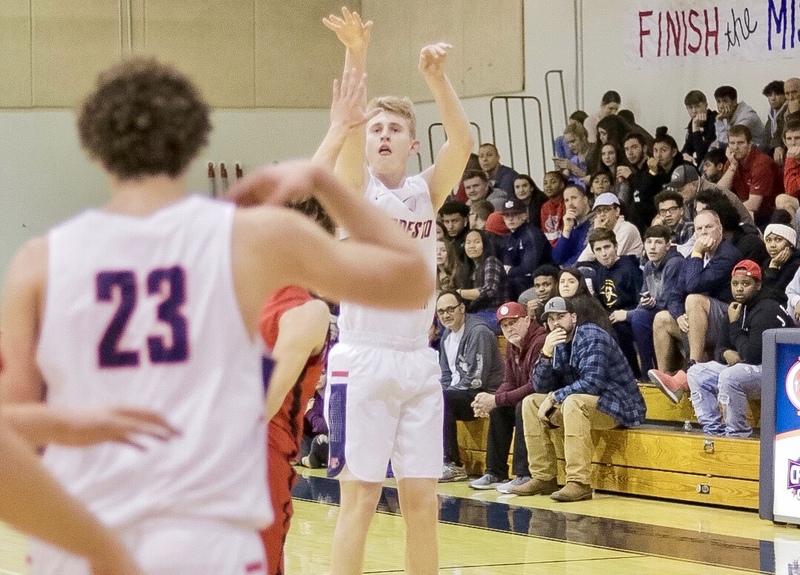 5 Beyer (17-8, 9-2) nearly erased an eight-point deficit in the fourth quarter, but watched as its potential game-winning 3 at the buzzer fell just short of the rim. 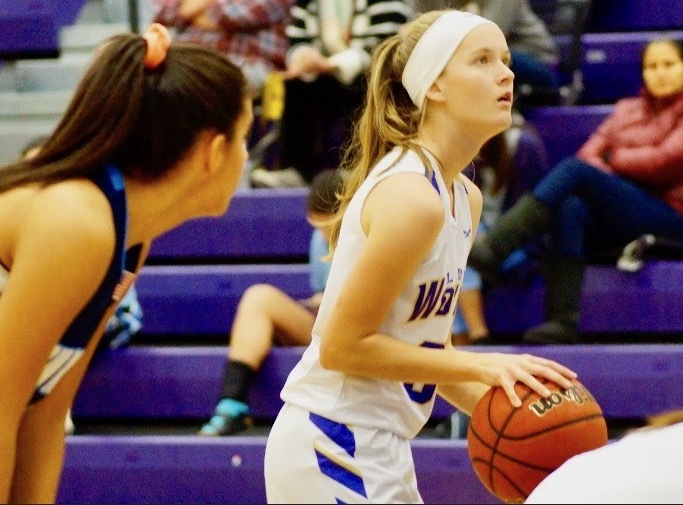 Mountain House celebrated an emotionally-charged 74-72 victory, bouncing in a Mustang-only mosh pit along its bench, and remains unbeaten in the WAC with three games remaining. 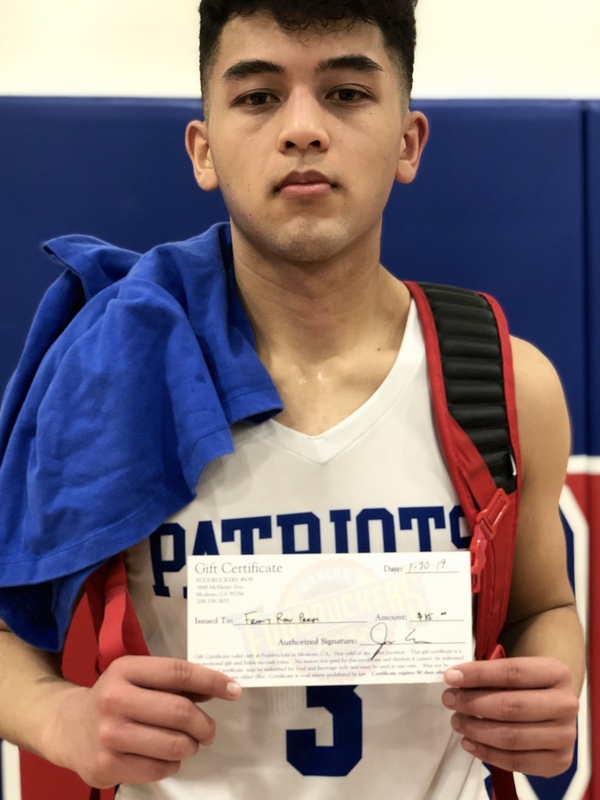 Beyer senior Isaac Quinteros was named the Fuddruckers Player of the Game after scoring 13 of his team-high 18 points in the second half of a 74-72 loss to Mountain House on Wednesday, Jan. 30, 2019. 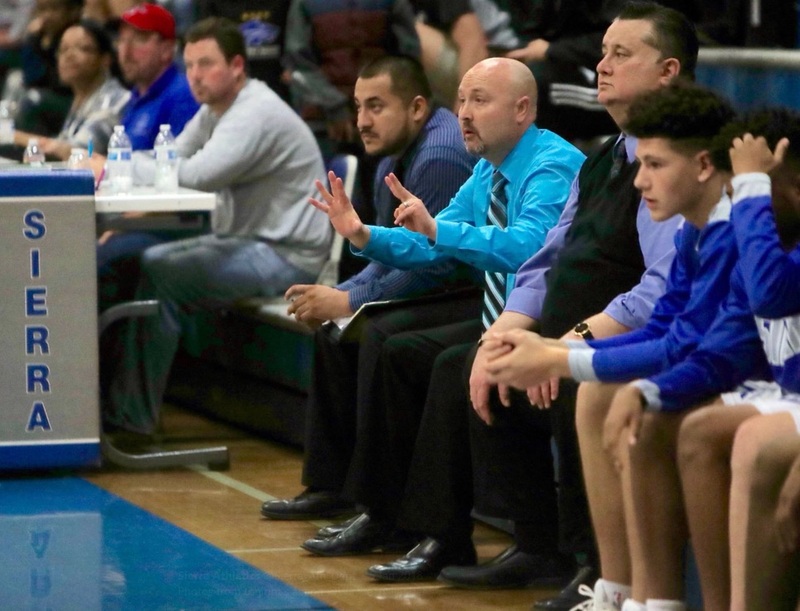 While still mathematically in the hunt, Beyer coach Kyle McKim knows his team's chances of a WAC championship sailed out of town with the Mustangs (17-6, 11-0), who swept the season series with the Patriots. Those victories are the difference atop the standings. “It meant a lot because Mountain House is a really, really good team, and we want to beat really good teams,” said McKim, whose team had its winning streak halted at four games. “It kind of stings to lose to super close games to them. We want to win those games. That’s why it hurts. Still, Beyer needed time to process this loss. The coaching staff lingered in the locker room until long after the crowd had gone home. When McKim and his staff finally emerged, the janitors had already put away the bleachers and swept the floor. The Patriots blew an eight-point lead in the third quarter and then pressed its way back into the fold in the final minutes. Isaac Quinteros scored 13 of his team-high 18 points in the second half, including a corner 3 with 1:46 left to ignite the comeback. Quinteros said he drew energy from a raucous crowd. “It felt amazing,” he said. 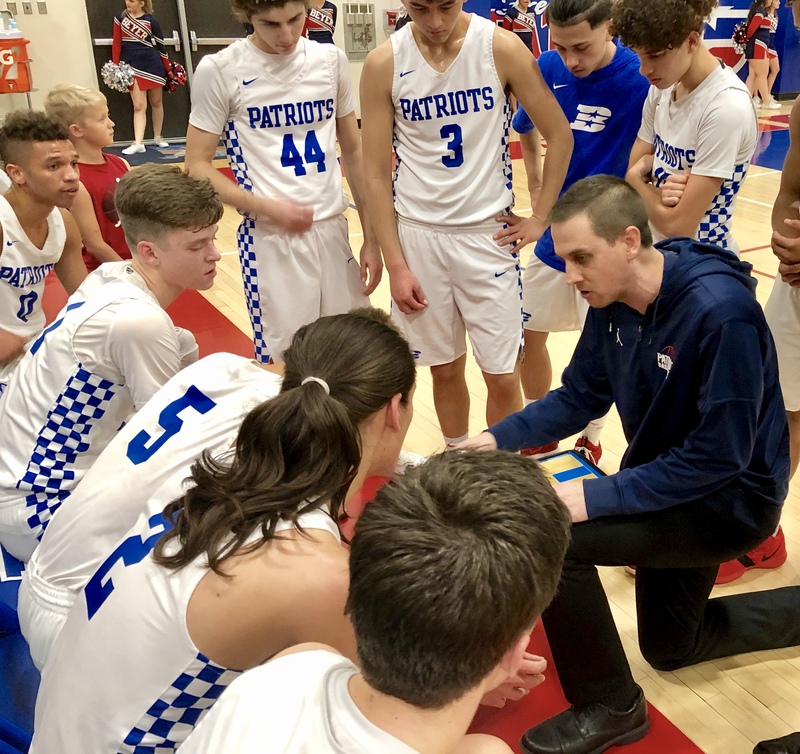 When Maggard missed two of three free throws with 13.4 seconds left, the Patriots raced the length of the floor, drawing free throws of its own. With a chance to tie, James Tonge missed the first of two free throws. After Mountain House’s Yubi Dhillon made it 74-72 with one free throw (he intentionally missed the second), Tonge’s desperation heave from mid-court was on line but short. The Patriots missed nine free throws, including six in the second half. 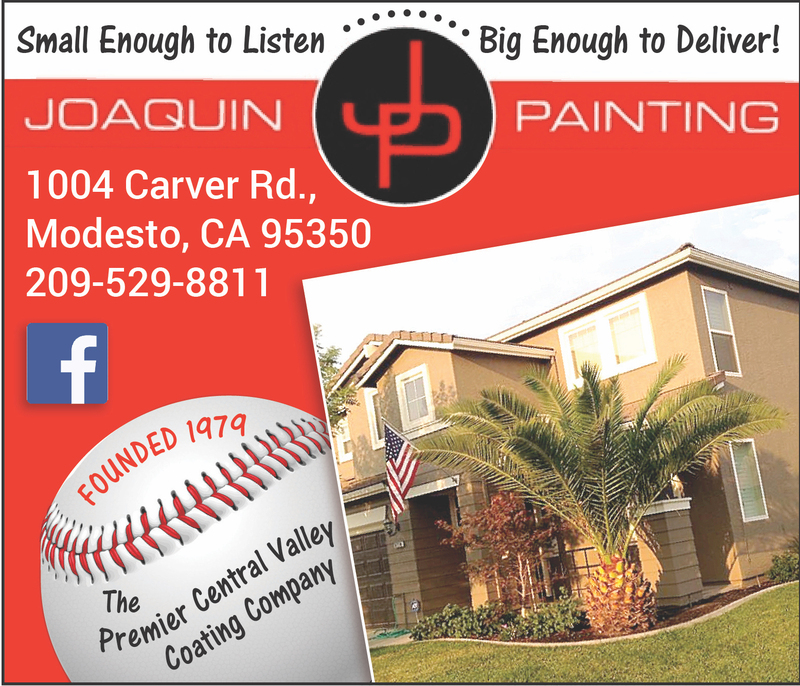 Quinteros scored six of the team’s first seven points in the third quarter to stake Beyer to a 43-35 lead, but Mountain House closed with a 21-6 run and led 56-49 going into the fourth. Maggard, a 6-foot-4, 215-pound specimen, highlighted the third-quarter rally. He finished an alley-oop pass from Dhillon with a two-handed dunk and then had six second-chance points as the Mustangs whipped the Patriots on the boards and in transition. 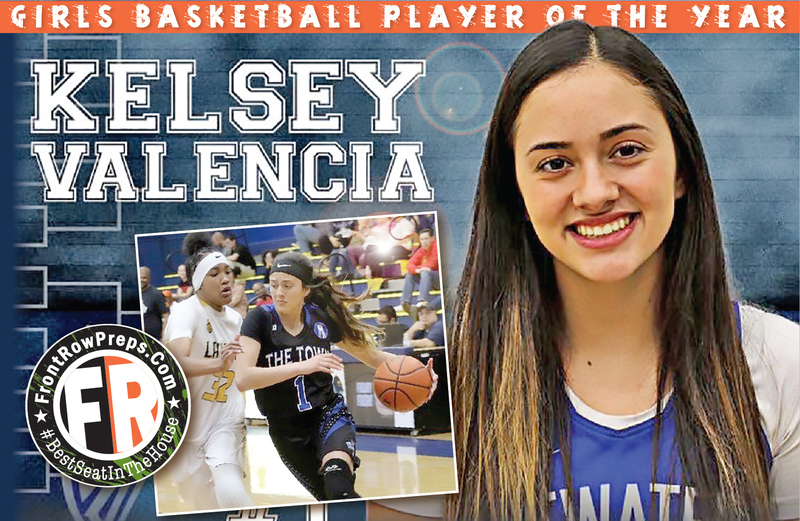 “He gave them the energy they needed,” Quinteros said. McKim tried to stem the tide with a timeout, but Nick Baluyot responded with back-to-back buckets, including a 3 from the top of the arc. Quinteros was joined in double figures by Dom Dancer (15 points), Hayden Keller (15) and Tonge (11).